John Charles - Shark Attack! John Charles returns to the cover of the prog this week with this tense image of Finigan Sinister as he faces Melcze... erm, Melchervi... try again, Merchevich.... erm, as he scopes his prey, okay!?! This isn't John's first cover featuring the wise cracking gun shark, he was also the star of John's first ever Prog cover almost fifteen years ago! Ye've got red on ye! 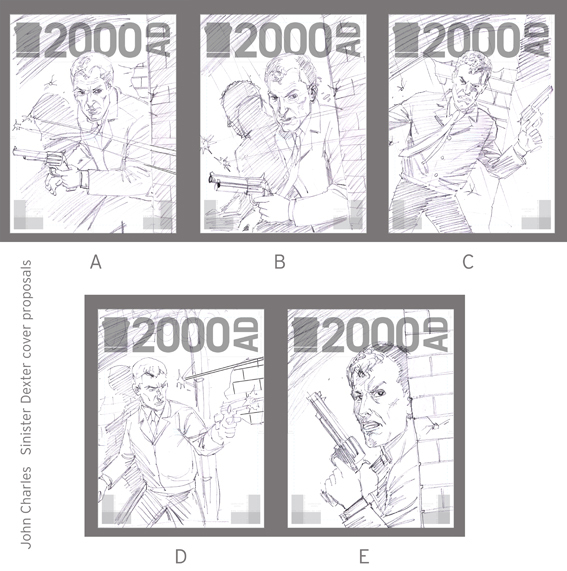 "I start doodling and come up with several very rough, roughs. I then get my wife to photograph me in various relevant poses, so that I can garner clothing detail, etc. I do some more rough drawings and scan these in and arrange them with the 2000AD cover template, so that I can see how they'll work with the logo, etc." "At this point, I'm falling in love with details like the folds in sleeves, and perhaps missing the point. Thankfully, something tells me to go back to my original sketch roughs and add a final one: E, which oddly enough was my first response to the brief. I'm probably favouring other roughs, but Tharg says E is the one, and he's the man, (well alien - Pete) so we go with E."
"I'm up in Leicester that weekend and I get my mate Mark to pose for the shot for me. 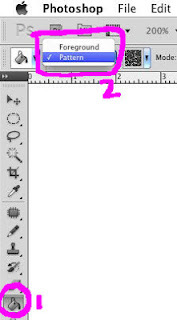 Mark's a top-class graphic designer, and when I show him the roughs he plumps for E too. Who knew my best mate was from somewhere near Betelgeuse?" 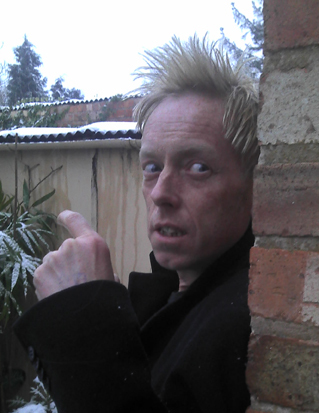 John's mate Mark - Top class graphic designer and male model! "Then it's pencils, and inks in the time-honoured manner. For some reason I want to keep in the cross hatching flavour for this one, although if you ask me I think cross hatching is illogical, as it doesn't exist in real life. But something tells me to go with it this time." Hmmmmm, try looking at Cliff Richard's neck or Keith Richards' face and tell me cross hatching doesn't exist - Pete. 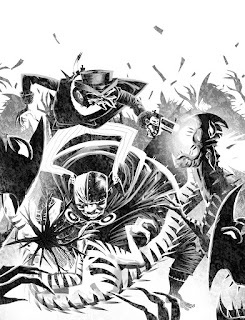 "Looking at the inks now, part of me thinks I should've just worked over the pencils, but, hey-ho. Then it's into Photoshop for colouring: a flats layer, several shadow and highlights layers, and thankfully it all comes together. I send it into Tharg, and wait for it to come out..."
"And now it has, hurray! 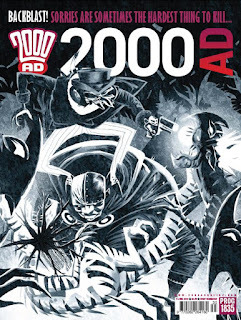 I'll be honest with you, I'd have put the wall behind the 2000AD logo, but I can see why it makes sense to pull the wall forward. 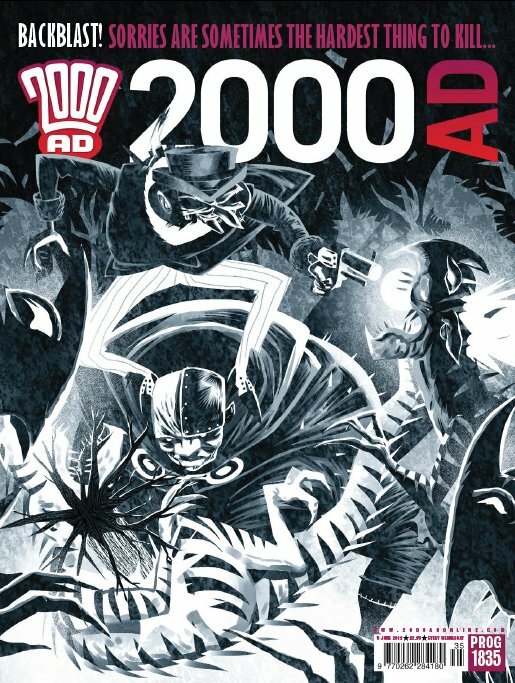 I think it works though, and I hope it sells well for Tharg, and that the 2000AD readership like it." I'm sure they do John! 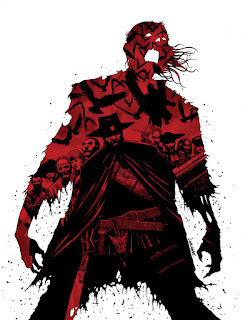 Here's the final cover with the logo, I have to say I'm a fan of the logo hiding behind the wall with Sinister. Massive thanks to John for sending the images and commentary, and to his mate Mark! 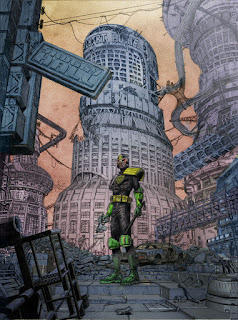 Check out John's deviant art gallery here, let's hope to see more 2000AD stuff in there soon! Chris Weston - Hughes Who? 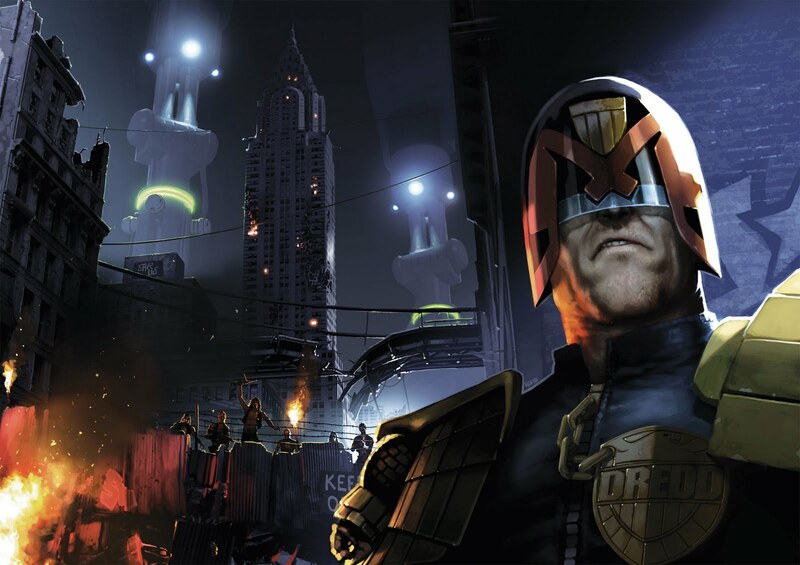 Prog 1837 sees the welcome return of John Wagner to the world of Dredd as he picks up the pieces from the devastating Day of Chaos epic. What better way to celebrate than with a cover by the Daddy of Detail, the Master of Minutia, Mr Chris Weston? "This picture was just one of those images that leapt into my head and gave no sign of leaving until I put it down on paper. First of all, I built a rough 3D model of the scene in Cinema 4D...."
"I printed this out and traced it onto some thick watercolour paper. 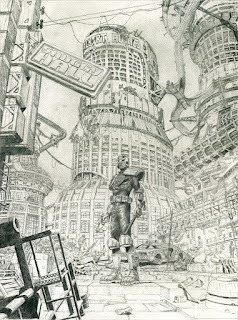 I wanted something with quite a rough texture as I wanted the city to look as beaten up as possible. I added in Judge Dredd, centre stage, and all the extraneous details for which I'm known..."
Shares the same decorator as Pete Wells Block. 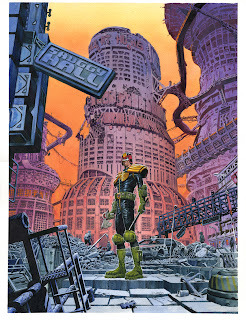 "Albert Hughes Block was named after the director who employed me as a storyboard artist on "The Book of Eli" and the ill-fated live-action adaptation of "Akira". We've since worked together on another film called "Motor City" and the advertising campaign for "Crysis 3". I figured seeing as Albert has pretty much paid my mortgage for the last three years, the least I could do was immortalise him as a City-Block in the Big Meg!" 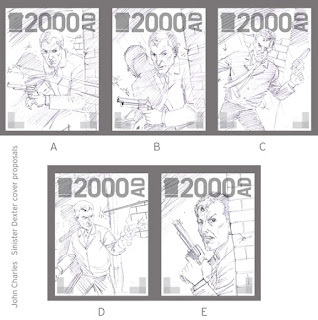 Check out the wonderful storyboards for Eli, Crysis and more on Chris' site, they're gob smacking! 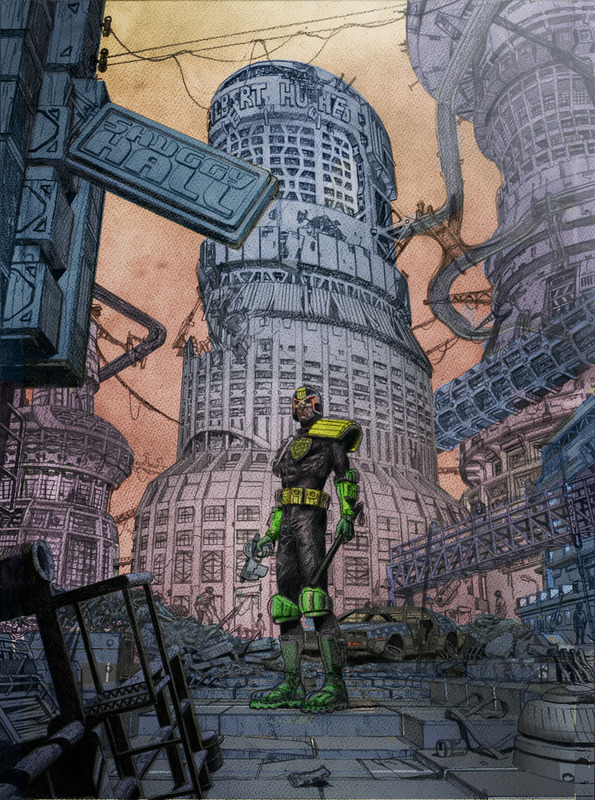 "After I'd pencilled the picture, I mocked up a rough colour version and sent it to Tharg to see if he was interested in buying it. Luckily he was!" "So then it was a case of getting to work with my Acrylic inks. First I inked it, like an ordinary black and white page, except with the different coloured inks." So You CAN beat Shuggy Hall? 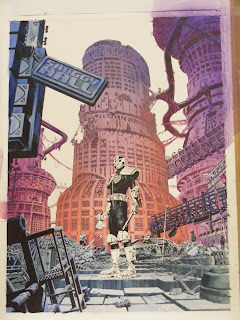 "Then I began the laborious process of masking off sections of the art and airbrushing in the colours. It seemed to go quite well unto I started removing the masking film: it decided to take the top surface of the watercolour paper with it! I could have cried or screamed... or some combination of the two. Instead I just swore a lot and commenced the soul-destroying task of repairing the art; a job that took even longer than all the previous work I'd put in on the painting. It was tempting to scrap it and start again, but I refused to give in. By the end you'd never know anything had gone amiss, and I learnt a valuable lesson about masking on watercolour paper: basically wipe your masking tape over a thick woollen jumper before you stick it down onto the board. That way it picks up a few hairs and becomes less adhesive." If only Maria were around to help tidy up, waaagh! Wow, just beautiful, beautiful work as ever from Chris. This is another image that I'm sure we're going to see again and again. Thank you so much to Mr Weston for his time and effort, let's hope we see more from him soon! Remember to check out his blog right here! 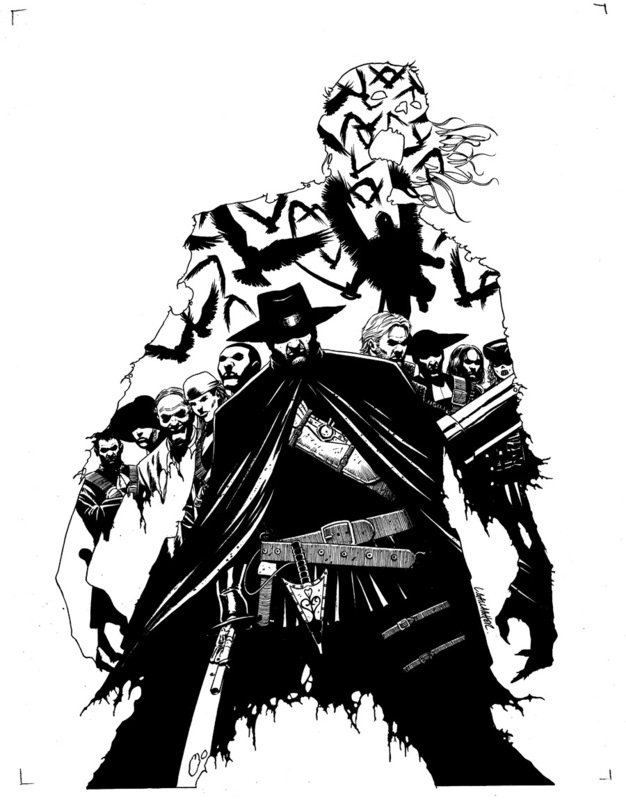 If you have any braaaaaiiins you'll shuffle immediately to Leigh Gallagher's fan-sodding-tastic blog to see how he put together the striking cover of Prog 1836. 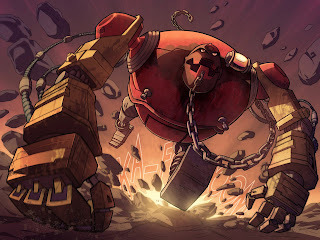 It's a frikking work of art, such a strong image, I love it! On his blog, Leigh shows you his initial (not as good!) 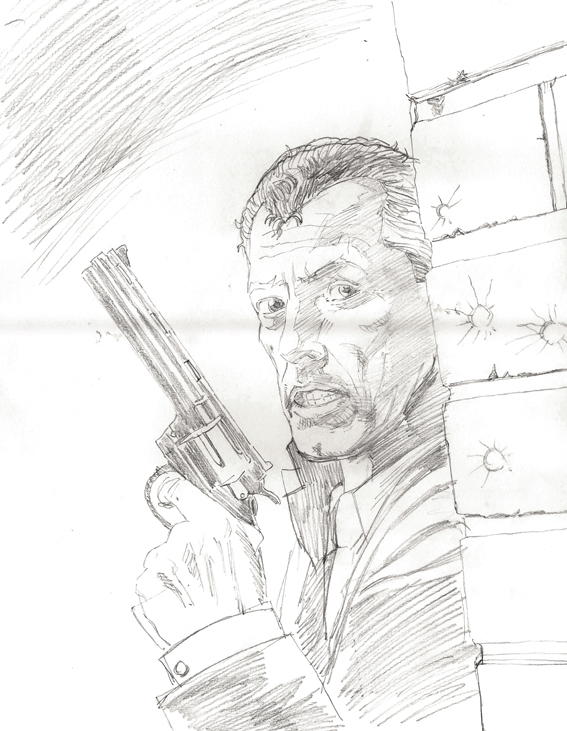 idea, sketches, pencils, inks... the lot! Bob Molesworth - Smushing Pimpings! 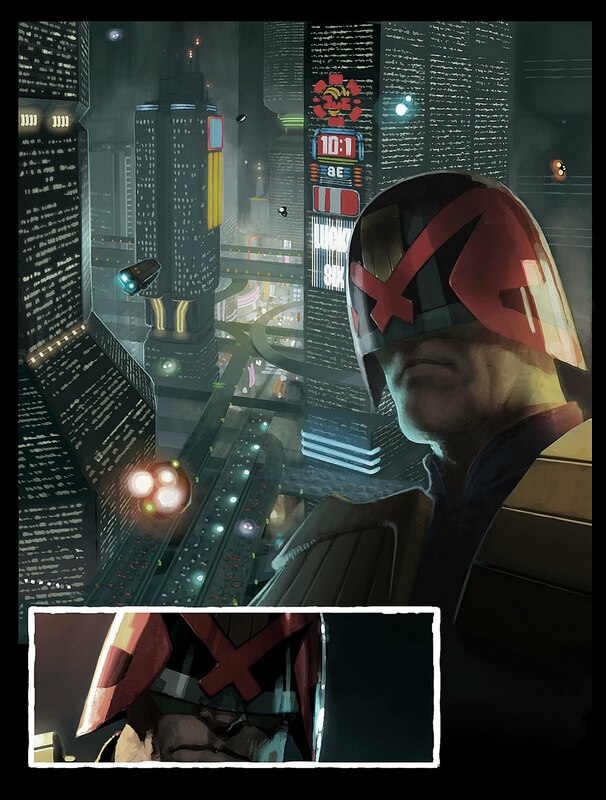 I've been promising to show Bob Molesworth's worthy winner of the 2000AD message board art competition for absolutely ages, so sorry to Bob and Owen 'Crazyfoxmachine' Watts for taking so long! Bob won the March competition where the theme of the was 'Robots of the Galaxy's Greatest'. Among the robo-stogies, Mechanismo droids and ABC Warriors was Bob's stunning Mongrol, which captures the essence of the character perfectly! I started out pretty loose with a coloured pencil tool in photoshop just getting down the basic shapes and trying to capture a sense of motion, and from there working into it until I have a finished sketch. 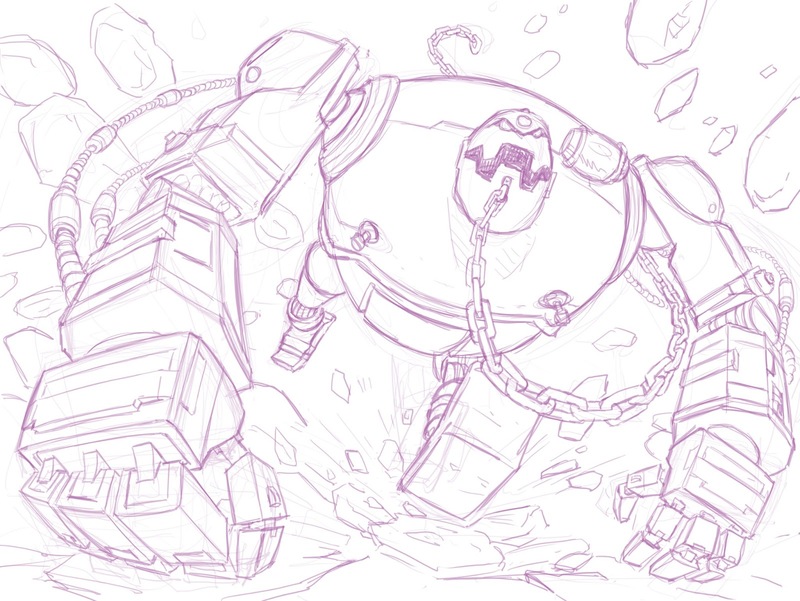 This is probably the most important stage of the image, so don’t be tempted to rush towards the colouring stage. If you get the pencils right everything else will fall into place. Pay attention to your perspective, composition, anatomy, line weight and basically everything, this is where it all happens. To get a sense of scale on this image I used some foreshortening and a low point of view to give the impression that he is really, really big." 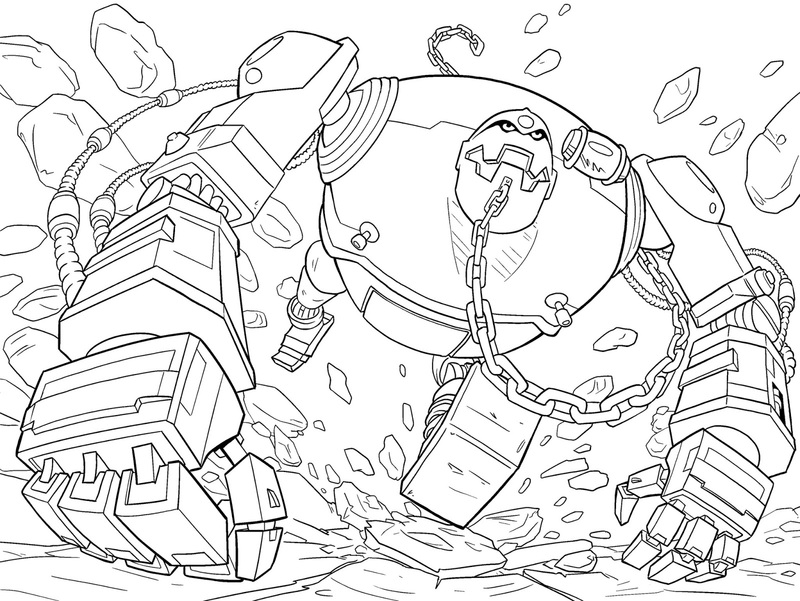 Once I am happy with the pencils it is time to move on to the inks. I used a black pencil tool on full opacity on a separate layer above the pencils. This is pretty much tracing, but as you have got all the basics sorted in stage 1, you can really concentrate on line quality here. Generally the closer something is, the thicker the line will be. This gives more weight to closer elements which pulls them towards the front of the image. 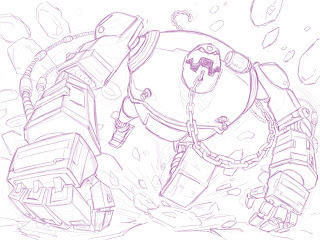 On this image I drew the line work for the background on a separate layer to make it easier to manipulate later." 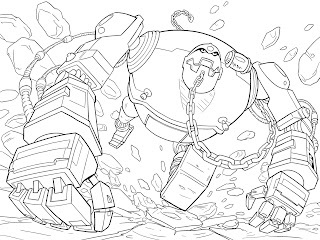 Now we can turn off the pencil layer leaving us with just the inked line work. From here I start to block in the basic colours. Just lasso the areas using the magic wand tool and fill with the paint bucket tool on another layer underneath the inks. To get the basic shadows I use the lasso tool to mark out the main areas and on a separate layer above the basic colours fill with a dark purpley or browney colour. Then stick the layer onto a multiply blending mode at about 50% opacity. Using a single colour for the shadows helps unify the different colours across the image. It also avoids the image getting muddy or grey as it would if you used a straight black for the shadow layer." Ok, now we are on to the splatty bits. Open a new layer between the shadow layer and the block colour layer, use the magic wand tool to select the area to work on, and paint splatty bits on. I used the paintbrush tool on a low opacity (about 20%) with a dirty browney colour and built it up using a combination of grungy, splatty brush shapes. With the shadows being defined by the layer on top of this one you can work across the light and dark areas of the image without worrying too much." 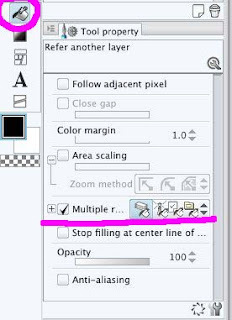 Open a new layer above the line work, set the blending mode to screen. I selected the areas I wanted to highlight and used the gradient tool to fill the selection with a light orangey colour. Using the brush tool I started to pick out some of the details, like the light across the bottom of the jaw. 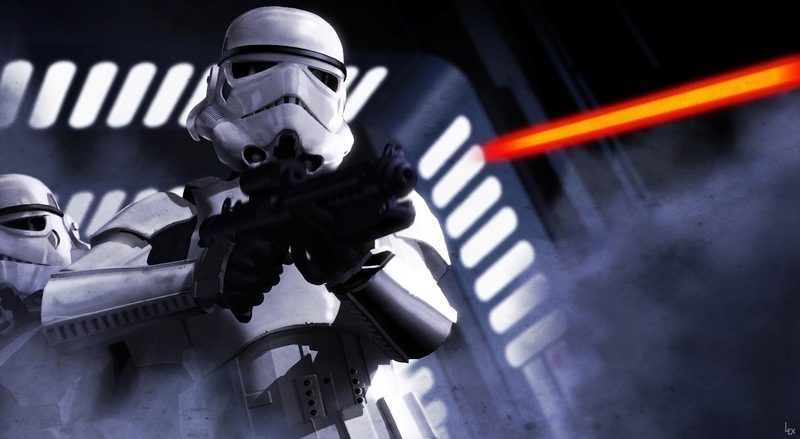 Think about primary and secondary light sources. 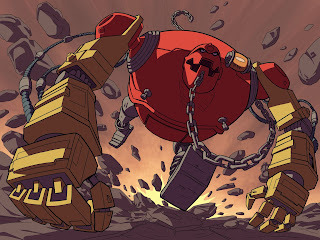 The main light is coming from the top left of the image, but there will also be some glow given off by the explosion in the background which will reflect across the underneath of the body." So that is pretty much it. 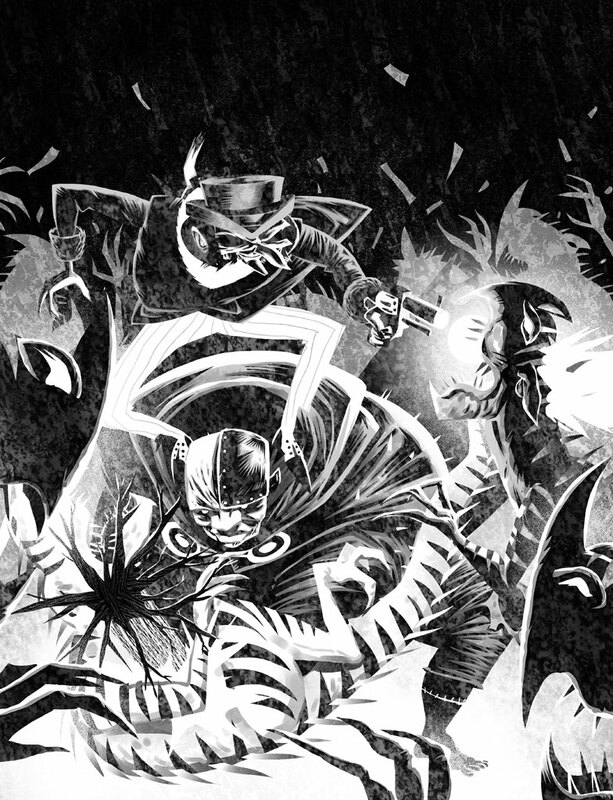 I added a few last minute tweaks, like reducing the opacity of the background ink layer, to strengthen the feeling of depth to the image, adding some blur to areas to give an impression of motion and a couple of colour washes to unify the image." "I tend to stick pretty rigidly to the first 3 stages but I would encourage anyone trying to follow this to play around a bit. The beauty of digital art is that as long as you keep your work on separate layers you can always delete one if it does not look right. If you are new to digital art there are loads of tutorials on line you can follow, choose the bits that work for you and you will develop your own style. Thanks for reading; I hope you found this useful. No, thank YOU Bob, that was excellent! Check out Bob's fantastic blog right here. 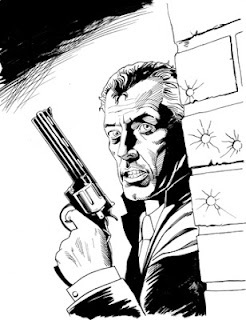 I plan on featuring each winner of the 2000AD art comp here, so enter today! Alex Ronald - For Your Thighs Only. 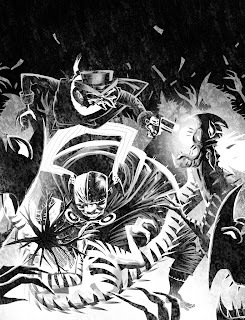 2000AD Covers Uncovered is all about celebrating the artwork of 2000AD artists past and present so I'm delighted to present Alex Ronald's cover process for the forthcoming Vampire Vixens of the Wehrmacht. Alex was a prolific contributor to the Prog between 1996 and 2000, illustrating favourites such as Judge Dredd, Rogue Trooper, Sinister Dexter as well as an excellent run Missionary Man. 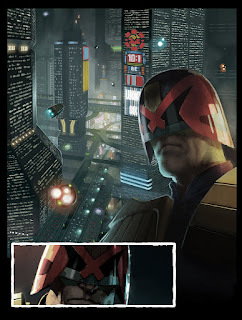 Alex is real a fan favourite who is still active on the 2000AD Message Board today, kindly giving art tips to budding artists on there. "Vampire Vixens of the Wehrmacht is a tongue in cheek, action/horror comic set during WW2. 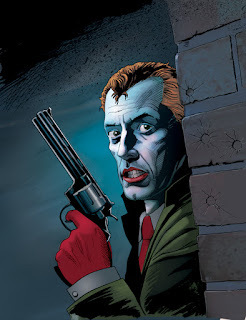 It follows the adventures of a gorgeous Nazi vampire defector and a pompous British Army chaplain as together they take on Hitler's occult horde." "Vixens takes a lot of it's inspiration from the secret agent world of James Bond, although in this scenario it would be fairer to say that the Bond girl has become Bond. That being the case I thought it would be fun to do a 007 style image for the cover of the comic." 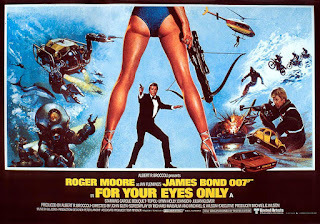 "For Your Eyes Only might not have been the best of Roger Moore's cinematic outings but the poster image is certainly one of the most striking." "No Mr Bond, I expect you to thigh!" "Also released at the cinema in the same year and I'm pretty sure heavily influenced by the Bond poster was little known revenge movie, MS.45 (also known as Angel of Vengeance.) The twist of the body, the hint of a western 'High Noon' vibe and the fact the girl is hiding the gun behind her thigh gives this pose a slight edge over the original Bond girl stance. 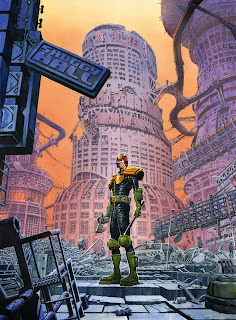 This is the image I set out to emulate." 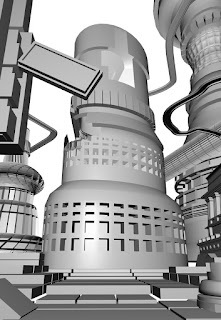 "3D modelling is my bread and butter day job and I use 3D a great deal for my own illustration projects at home. In this case it's a very simple two character composition. 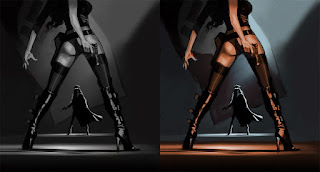 The reference posters dictate the angle of the shot so it's basically just a case of pushing back the faraway character until she is nicely framed within the, um legs..."
"Working from the customised 3D scene as a reference point, I started to sketch in the rough details of the characters. The Second stage is to block in the light and shadow just using tones. Lastly, a colour wash over the tones and from there embellish for several hours until finished." 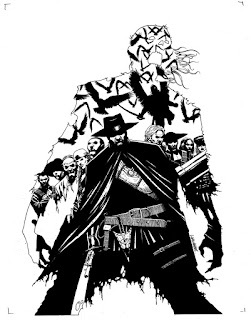 "The final Image: With the Vixen's holster on her left hip and her hand hovering over, the distant foe may be forgiven for thinking she has the advantage in this gunfight. Unfortunately Vampires and dirty tricks go hand in hand!" "Final touches are some wear and tear to the edges and a grime overlay to give the picture a degree of Grindhouse style degradation." Vampire Vixens of the Wehrmacht will be launched at the Glasgow Comic con on July 13th and will be available through mail order and digital download shortly after. Limited to 200 copies. 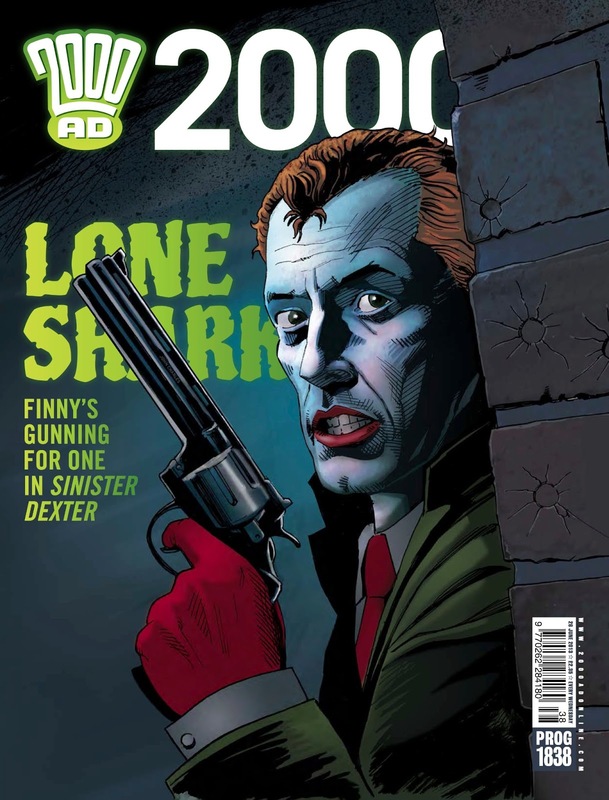 100 of which sport the featured cover and an introduction by Mark Millar. 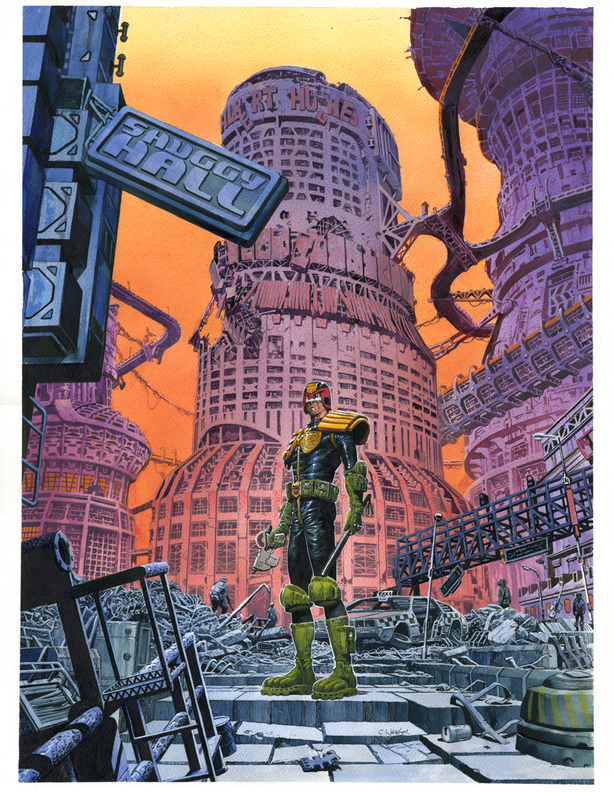 The second variant edition is introduced by film director and Lord of the Rings VFX artist Paul Campion. The good old Zarjaz boys are also fans and wisely commissioned Alex to do the cover of Zarjaz number 12. I'm sure they weren't disappointed with the result! "No one paints me less'n I says they kin!" 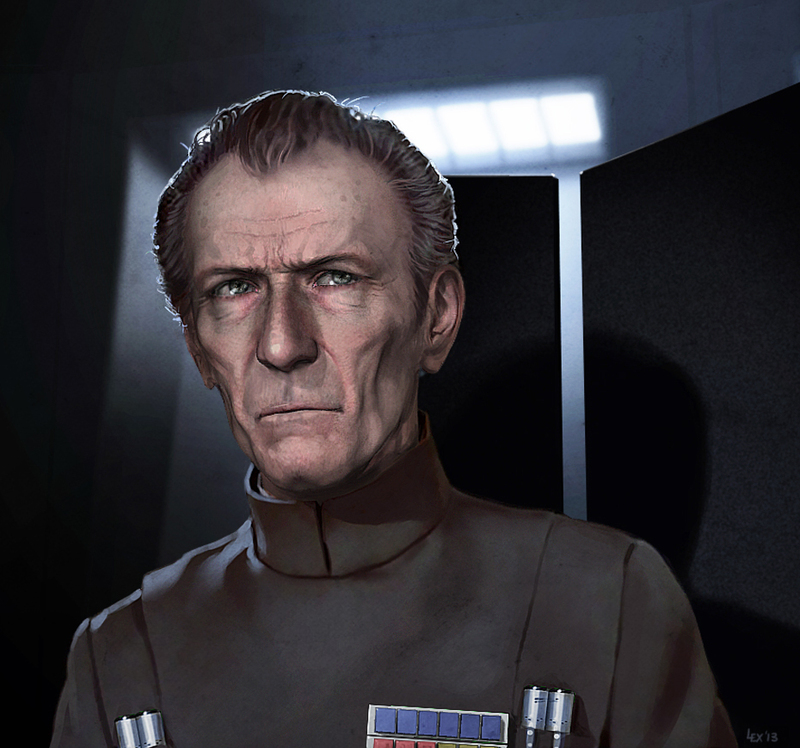 This Grand Moff Tarkin is fantastic. Alex modelled the Star Destroyer in about an hour! Thanks to Alex for sending the words and pictures, I'm sure you'll join me in wishing him the very best of luck with the Vampire Vixens! Check out his brilliant blog here. D'Israeli - M(att)TV Part 3: Crim Shading! Welcome back to the final chapter of this Stickleback cover trilogy. It has been a wonderful ride and an absolute privilege to see how the cover of prog 1835 came together. 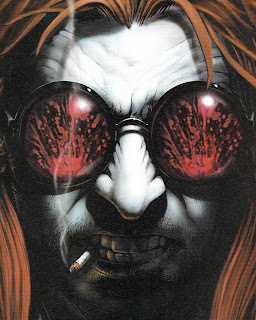 As if Matt Brooker's covers weren't mind blowing enough, watching how he works is even more astounding! 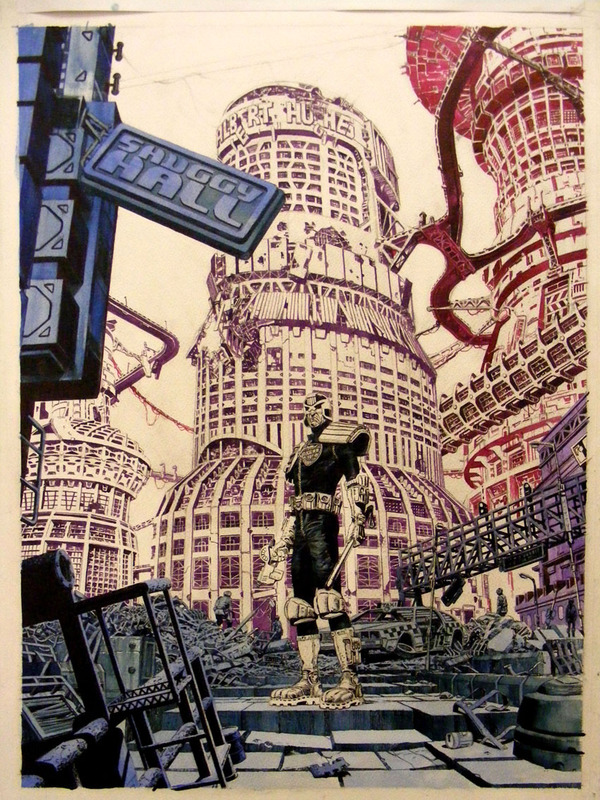 What amazes me is his forward thinking and the intelligent use of layers and blocks for selections. In todays video, you really get to see the power of working this way. Matt has put an awful lot of effort into these videos, they must have taken hours to put together and I know he had some real problems uploading them to YouTube. The response has been phenomenal and I'm sure you will all join me in saying a massive thank you to this very generous artist for giving up his time, gifting us his resources and sharing his talent. Simply amazing. Sob! So that's it. I've thoroughly enjoyed this weeks' blogging. It's been fascinating, educational and inspirational. We've had a unique glimpse of the skill, time and technical knowhow that goes into making a cover of the Galaxy's Greatest. Stunning! D'Israeli - M(att)TV Part 2: Sticklecracks! Welcome to Day 2 of 'The Making of Cover of Prog 1835.' Roll VT! as the Kingpin of Crime. 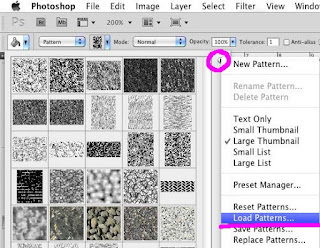 "The paint bucket tool in Photoshop is capable of filling areas with Patterns as well as colour. Patterns in Photoshop can be any kind of image information - textures, geometric patterns, photographs, paintings - any digital image can be grabbed and registered as a Pattern to be used by the Paint Bucket Tool. 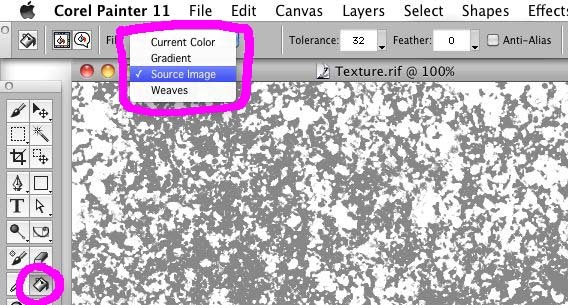 Of the graphics apps described here, Photoshop appears to be the only one that can straightforwardly use the Paint Bucket Tool to create Stickleback-style texture fills (Painter has a similar trick, but it’s more complicated). 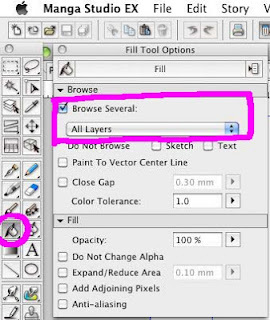 However, all the apps (except Painter) can use one layer to constrain a fill applied to another, and that’s such a useful trick for all kinds of work that I’ll show the controls here. 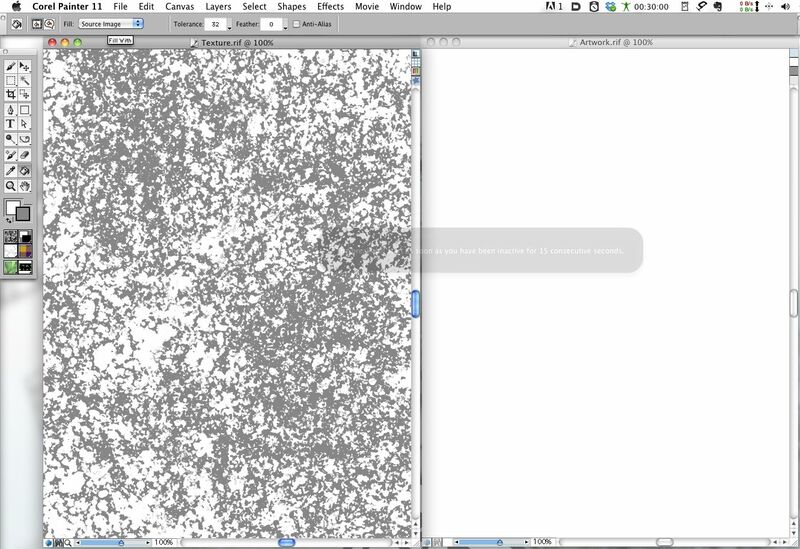 I’m also providing a Photoshop Pattern file containing three Stickleback textures, please note, this is a 5mb download. 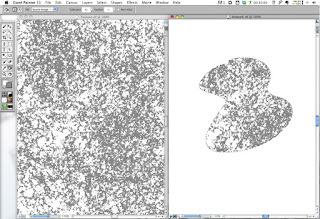 (Note: I tried this in Photoshop Elements 9 and the interface was similar enough that you can use the same instructions, except in step 1 there’s a checkbox to activate Pattern Fill)"
"(1) Click on the Paint Bucket Tool in the toolbar and (2) select “Pattern” from the Paint Bucket controls at the top of the screen." "Click on the square next to the drop-down menu and the Patterns palette will appear. Yours will look different to this because these are all ones I made myself. Mine. My preciousss. If you have the Patterns you want loaded already, just click the one you want to select it and you’re ready to go. If you need to load a set of patterns, here’s how to do it:"
"With the Patterns palette still open, click on the little triangle top right (circled) and pick “Load Patterns…” from the drop down list. The navigate to the pattern file you want (my Stickleback one is Diz-Patterns.pat) and click OK. The new Patterns should load at the bottom of the palette (my patterns may take a minute to load because the pattern tiles are very big). If you want to move the pattern icons around, try using “Preset Manager…” from the same drop down list you used for loading the Patterns." "Photoshop, Manga Studio Ex 4, Debut and 5, Corel Painter 11. In each case I’ve highlighted the tool in the toolbar and the specific controls for multiple layers. To get the effect shown in the video, all your tool settings need to be the same as the ones seen in the illustrations here." "Adobe Photoshop - can fill with textures (Pattern Fill) and reads multiple layers. 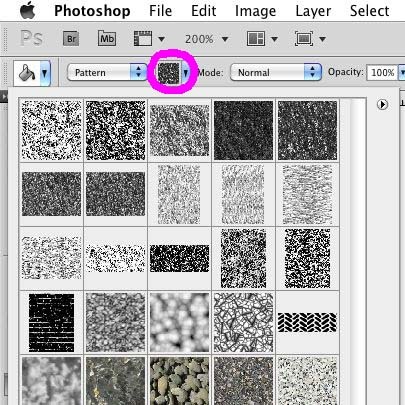 (Adobe Photoshop Elements 9 - can fill with textures (Pattern Fill) and reads multiple layers.)" "Manga Studio EX4 (and I think Debut) - no texture fill via Paint Bucket. Reads multiple layers. 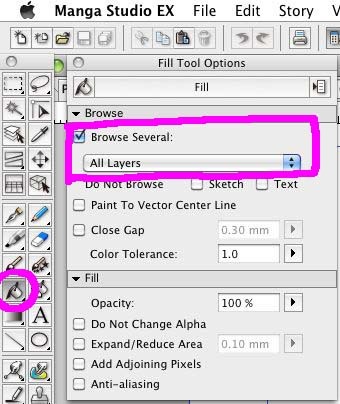 Has the extra neat option to read specific selected layers, ignoring the ones in between. EX4 creates texture fills by dragging textures called “Materials” from the Materials Palette into the image. If you’ve made a selection, the Material only fills that selection, but you get a new layer every time you add a new texture. Plus, I don’t see a way of constraining the fill using a lower layer. The manual says you can save your own texture as a Material but I haven’t tried it to test any limitations." "Manga Studio 5 - no texture fill via Paint Bucket. Reads multiple layers. 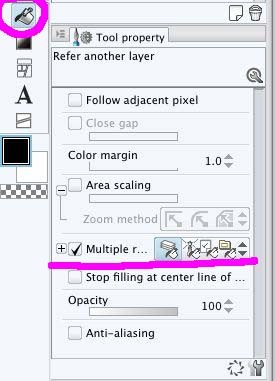 Also has that neat option to read specific selected layers. Again, MS5 creates texture fills by dragging Materials into the image. 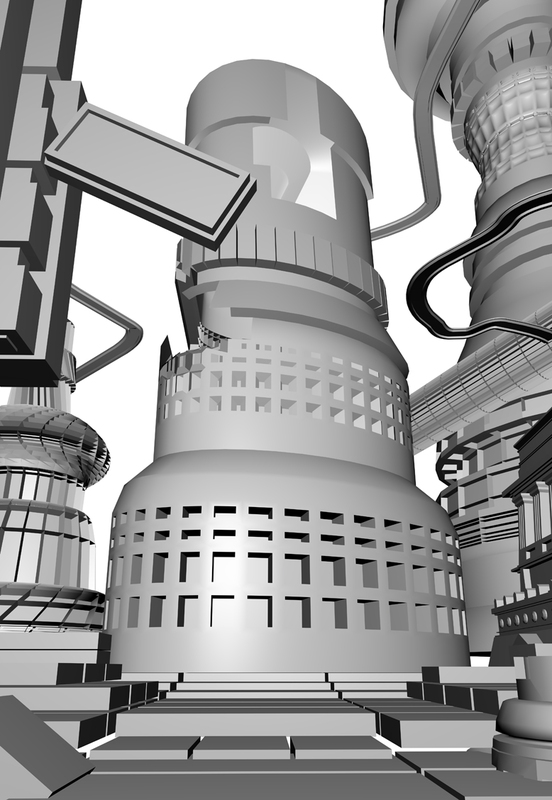 But - MS5 has Layer Masks. You should be able to create a layer full of texture, hide it all with a Layer Mask, and then use the technique shown in the video to reveal the bits you want by applying the Paint Bucket to the Layer Mask. I’ll not go any further with this as I haven’t tested it… plus, it’ll be a blog post’s worth on its own if I can get it to work. 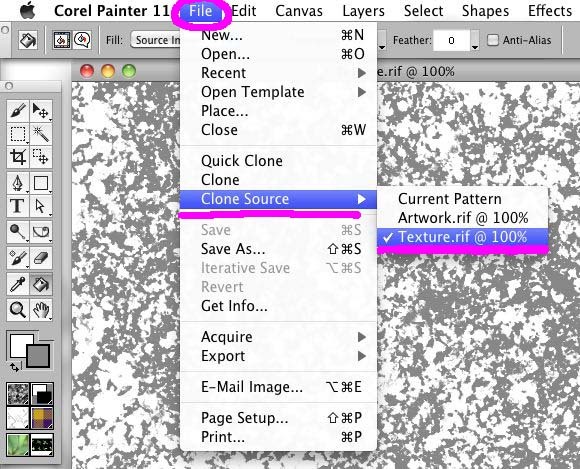 Corel Painter 11 - Can fill with textures by a roundabout method. Cannot read multiple layers, which is surprising in an application of this class. Before explaining how to use texture fill, a warning; Painter is very memory-hungry and processor-intensive. I wouldn’t recommend using it for this kind of work on high resolution files, as at best it’ll take forever and at worst it’ll just hang or crash. For high resolution work you’ll be much better off with Photoshop (or Photoshop Elements). The inability of the Paint Bucket Tool to read from multiple layers also means Painter just can’t be used for the technique shown in the video. 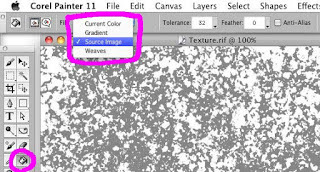 However, you might want to use texture fills in a different way, so here’s how it works:"
"First, you’re going to need two files; the one you want to work on and another one containing the texture pattern. These both have to be open at the same time. 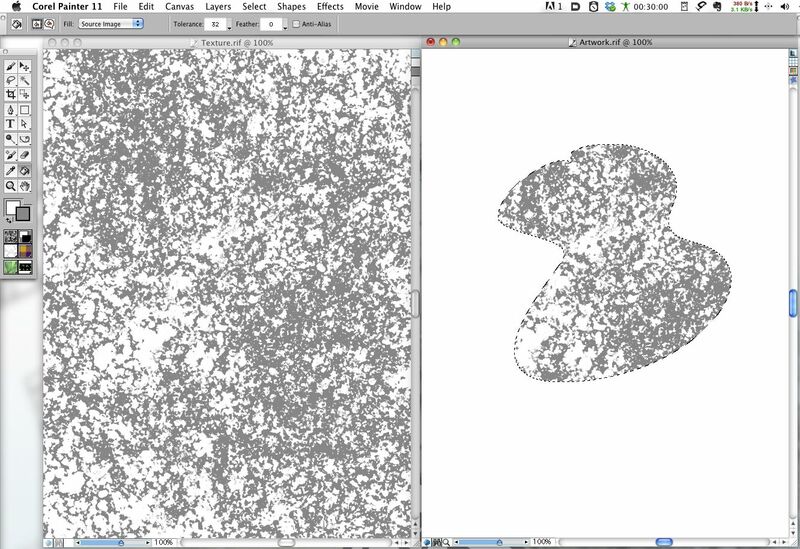 Here you can see the master texture file on the left and the file I’ll be adding texture to on the right." 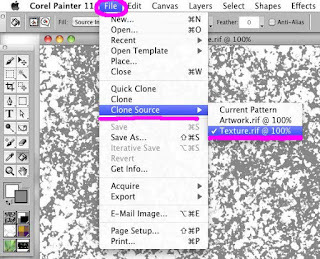 "Go to File: Clone Source: and pick the name of the texture file (here, logically, it’s “Texture.rif”) from the drop-down list. It doesn’t matter which tool is selected when you do this." "Click on the Paint Bucket Tool, and from the controls at the top of the screen select the “Fill:” pull-down menu and pick Source Image." 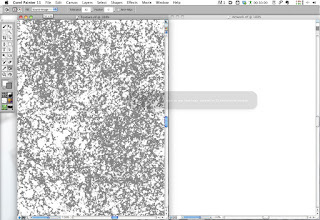 "Make a selection in the working file (left) then click with the Paint Bucket to fill it with texture." Is that all clear then? Come back at 8am tomorrow to see the final part of this thrilling series, same time, same Matt channel!